> SEO > What are the SEO benefits of social media? Nobody could have guessed what social media would become in such a short amount of time. Nearly a decade later and Facebook is nothing short of a social media superpower, Instagram has grown from zero to over 700 million users in the space of just seven years, MySpace has fallen out of popularity into the depths of dated pop-culture references, and using ‘SEO friendly’ anchor text is a very dangerous game to play in light of Google’s almighty Penguin updates. It’s safe to say that everything is very different now, and as the social media landscape changes so too does its relationship with search engines and SEO practices. But what exactly is this relationship in 2017? In the past, Google have made contradictory statements regarding the role of social media in their ranking algorithm. On the one hand, they have stated that social media pages are indexed in the same manner as other web pages, and that social links therefore count as links. But on the other, they have stated that social metrics do not constitute direct ranking factors. Over at Microsoft, the guys behind Bing have said that they too consider the authority of social media profiles (e.g. Twitter profile metrics) and mentions across numerous social platforms in their search engine. As per usual, Google keeps their cards close to their chest. Research from the likes of Neil Patel show what Matt Cutts referred to in 2014 as a correlation but not necessarily a causation. Can we 100% say that social metrics have a direct impact on search engine rankings? Probably not. However, if we look at the potential of social media’s influence on search engine rankings the story is different. My personal opinion is that we should not be worried about whether links from social media platforms are valued in the same way as a link from a high quality and highly relevant website. Instead we should look at the benefits of utilizing social media to help boost ranking signals that we know search engines care about. We should also bear in mind the impact of social media on the landscape of the search engine results pages (SERPs). Focusing on any one particular ‘SEO metric’ is as old school as MySpace. SEO has evolved into far more than just keywords and links. Great SEO acts as a core function to any holistic, integrated digital marketing campaign. We should consign the days of marketing departments operating independently to the history books and focus on the often significant benefits of integrated campaigns. Having said that, there are a few SEO metric-specific boosters that social media can provide. The holy grail of any link-building campaign. Link earning has the power to gain multiple links from a single piece of content compared with the individual links gained from more one at a time traditional guest posting tactics. It is link-building on steroids, but unless your website’s content has a large amount of visitors or subscribers your link earning potential is significantly reduced. Enter stage left: social media. The great thing about social media in 2017? Almost everyone you know will have a profile, most likely with hundreds of connections. This provides a platform through which promotion of content can not only be distributed instantly to hundreds of people, but the more people engage and interact with your content, the more people outside of your direct network see your content. Viral. How I hate that word. It sets often unrealistic expectations. Viral to me means millions of views, akin to the hard to grasp concept of Gangnam Style’s frankly insane popularity and near 3 billion views on Youtube. It’s great if your content does go viral, but you don’t need millions of views and tens of thousands of shares on social for social media to have an impact on search rankings. Quality over quantity, my dear. If you have even tens or hundreds of people engage with your post and content via a platform such as LinkedIn you can bet that the quality of those engagements is pretty high. If done correctly, those views of your content on social media will result in other content creators citing your content in their articles. Your content has just earned links, which has a direct impact on search rankings. As a brief follow-on to link earning, your dissemination of content via social will provide touch points with your brand across multiple platforms. To use another word that falls into my dislike category, your brand remains ‘front of mind’. In turn, this can lead to mentions across the web in what is likely to be highly relevant content, therefore increasing your co-citation and co-occurrence metrics. Social can be utilised to build not only awareness but also brand authority. Sure people are more wary about fake information and news on social media compared with a few years ago but that does not mean that engaging in a well thought out, high quality social media campaign will not develop your brand in the eyes of the public. Guess what? When they go to search for a product they may even search directly for your brand name or associated search terms which are directly related to your brand. Failing that, if your brand name is the one result that they know within the search results, it can increase your click-through rates from search. Social media profiles are delivered within the SERPs, along with tweets due to Twitter’s provision for Google to access their “firehose” of real-time tweets. As a result, your social media presence does have an impact on your SERP presence. Admittedly, the majority of social links within the SERPs appear for branded search terms, but this should not be discounted. If we are in fact looking at marketing as a more holistic practice in the digital age, then we have to ensure that your branded search terms result in high click-through rates from search. Ever been freaked out by a company or individual’s lack of social presence? This can be especially poignant for newer businesses or non-household names. In today’s society where follower numbers, likes and shares have a real impact on authority, the fact that social media results appear in branded searches should not be underestimated, not only in click-through rates from SERPs but also future conversions. Will social metrics ever be a direct ranking factor? From our research, it is clear that there are some pretty large problems associated with search engines using social metrics as a direct ranking factor. These include limited access for robots to crawl the platforms and therefore understand social authority, and the prevalence of fake profiles or ‘bought likes’ which are likely to be viewed in the same light as paid links. In short, there is currently too much provision for manipulation of these metrics for search engines to bank on them. Will this change in the future? Considering that Google and Facebook are two of the largest companies in the world, vying for the attention of us all, we don’t see them joining hands, opening their doors and singing Kumbaya around a campfire together any time soon. Whether or not Google or Bing count social metrics as direct ranking factors is somewhat of a moot point. Social media and SEO should be working together, sharing content or utilizing engagement metrics as data for future content creation. Lest we forget, businesses can benefit from revenue generated directly from social media regardless of its influence on search rankings. 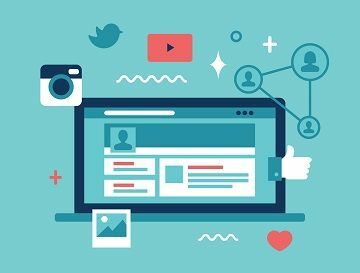 Social media campaigns should be focused primarily on generating their own success, with SEO considerations as a secondary (but still important) consideration.